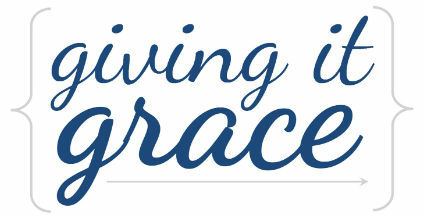 Giving it Grace: A Welcomed Surprise! 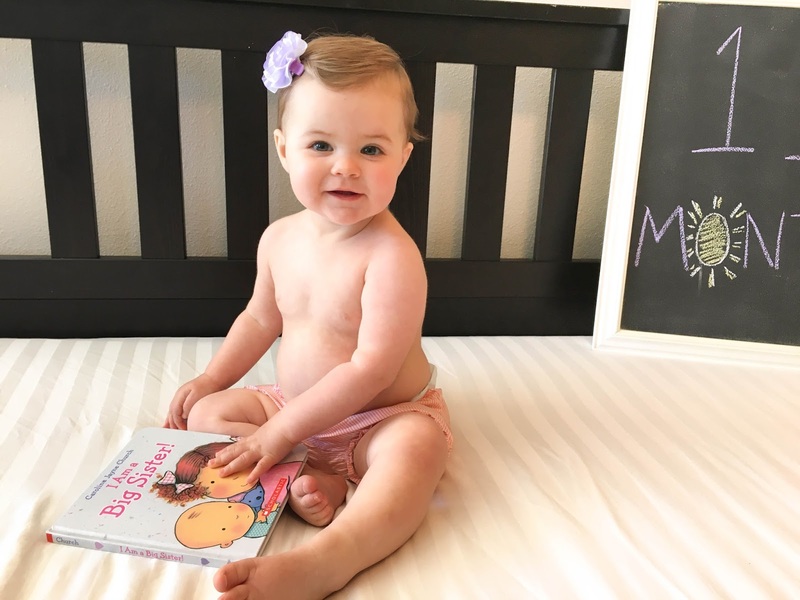 First: little miss Mary is going to be a big sister! This news came as quite the surprise to Kyle and I, as I have always needed the help of fertility drugs to get pregnant. While I was never diagnosed with any particular condition, my irregular cycles always required controlling through the timed use of progesterone and clomid. After I stopped breastfeeding Mary in February, Kyle and I had talked briefly about our plans for more kids but we were deciding to shelf the conversation until after summer. We weren't worried about preventing pregnancy because we had no reason to think I could get pregnant without the assistance for fertility drugs. Which is why it is extra exciting for me to share this we're expecting a surprise non-fertility drug baby this December! Back in March I had one cycle since I stopped breastfeeding Mary, and then many weeks went by and nothing happened. I naturally assumed it was my body doing it's weird long cycle thing, and I was thinking about making an appointment with my doctor to just discuss plans for fertility drugs for the fall. Before calling I thought "I should take a test just to rule that out so when the doctor asks I can tell her I already tested." After months and months and months of peeing on pregnancy sticks when trying to get pregnant in the past, just to see the faintest of faint lines when I actually was pregnant...you can imagine the look on my face that April morning when the test I took showed a second line as dark as a second line could be! I was already 6 weeks pregnant by the time I found out. I will never forget that morning, because it was April 20th. April 20th was the due date of the baby I miscarried back in August 2014. God cares about the details. I'm now 13-14 weeks along, depending on which measurements you go by. Because we don't know ovulation or conception date, we just have to go by how big baby is measuring. My original due date was Christmas Day, but it may be a week sooner than that. We're obviously overjoyed with adding another little life to our family. I'm so thankful that God answered an unspoken prayer of mine, and spared me another round of trying to conceive. Because I was ready to do it all again. The waiting. The praying. The timing. The drugs. The heartache. I was so ready, because I had walked that road with the Lord before and from that He taught me that He has MUCH to be given to those in waiting. Special attention, special joy, special patience, special grace. Although painful, I cherish the seasons of waiting in my life - especially those related to trying to conceive. And now I'm learning how to cherish surprise blessings. When the Lord says "hey, here you go - enjoy this" with a grand smile on his Fatherly face. And so I am! We are! Second: With this baby news comes my other announcement that I will be done blogging indefinitely. With each child that comes along one of my hobbies gets voluntarily axed, and I knew blogging was up next on the chopping block. When the kids are older I fully plan to resume my favorite hobbies. But until then, they need me present in their lives and I do that best when my mind is clear to focus on them (and Kyle too! Gotta save some love for the hubs!). While I love, love, love helping women navigate motherhood through this blog, I love my littles even more than that and they need me most right now. I'm leaving the blog up and may post something every once in a blue moon if I get a wild hair now and then. Thanks for following along thus far! Bye! You are so sweet! LOVE your blog as well - I get so many good ideas from your Friday I'm in Love series!